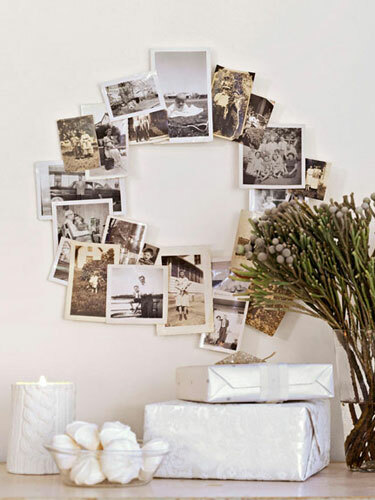 Wreaths. 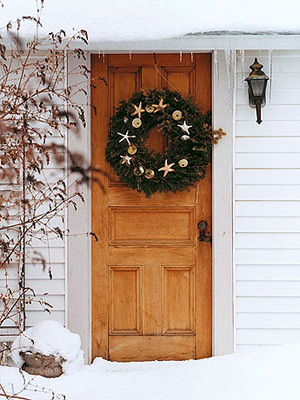 They sure make our doors, windows, walls and fireplaces look more Christmassy. If you are making your own here are some ideas. 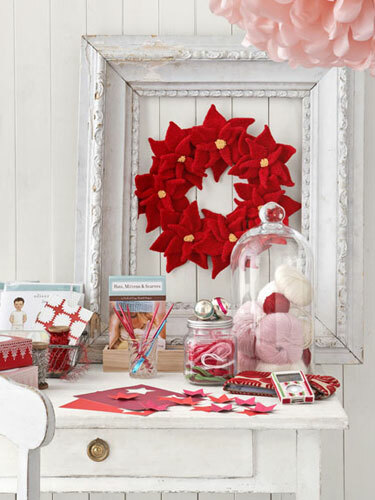 Why not use felt for a wreath? 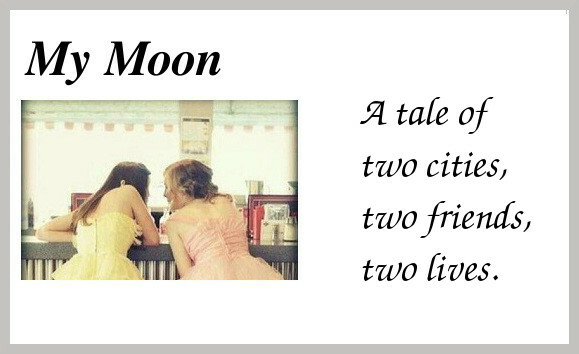 Why not use your favourite black and white pictures? 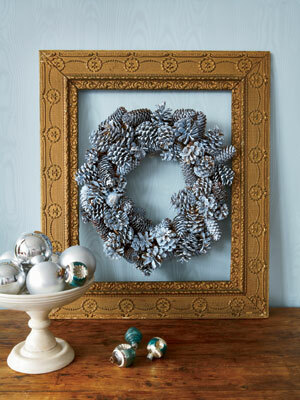 Spray paint the wreath in a hue that coordinates with your room . 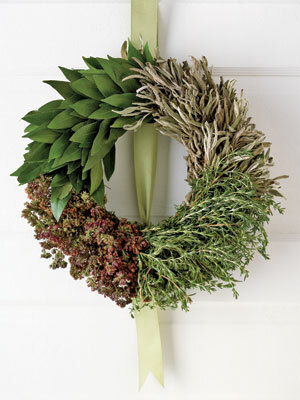 Use fresh sage, oregano, rosemary, and bay leaves. 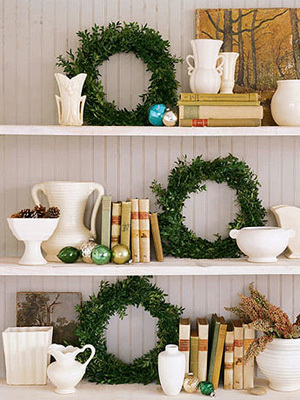 Place simple wreaths on shelves. 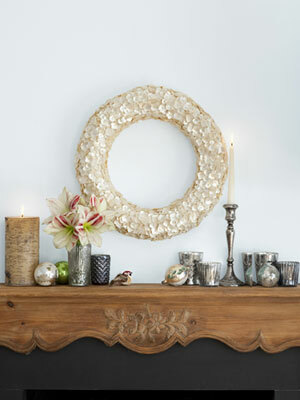 Make a nautical wreath using shells and starfish. I hope you have some ideas now. 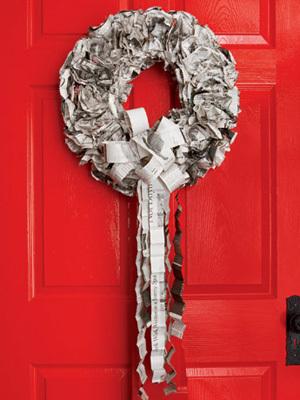 You can find instructions on how to make them at www.countryliving.com.